Just like you need to make sure you have your coat, hat, scarf, and boots, you need to prepare your car for cold weather. Follow these tips to make sure your car is safe to drive through the worst of the winter weather. If you need help winterizing your car in Stratford, CT come to visit Breezy Point Auto Body. Secure your journey by making sure you have the right gear on hand at all times. A snow scraper is your first line of defense when it comes to a light snow. Make sure you remove as much snow as possible from your front and back windshields, the roof as well as all of the windows. This tool won’t do you much good if the snow gets heavy. In that case, you will want to keep a small shovel in your car if you live in an area that gets blizzards often. To fend off ice build up, an ice melting spray can easily be stored in the car. A strong set of wiper blades can be a real lifesaver (literally) when it comes to driving in the snow. The build-up of winter precipitation and salt on your windshield can greatly reduce visibility. 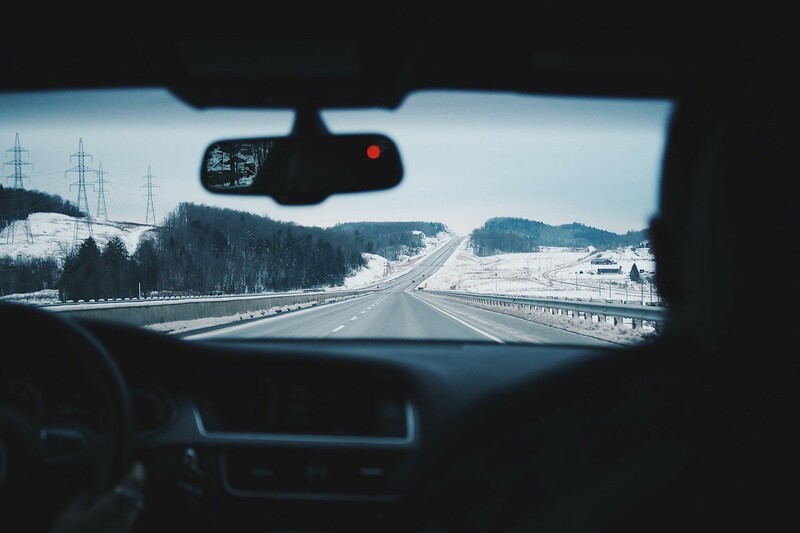 Working windshield wipers and a full supply of wiper fluid will ensure that you have a clear line of sight even in the nastiest snowstorm. Wiper blades are only good for one year, so replace old, weak wiper blades early in the season to help make your car more winter-friendly. It’s often more difficult for a battery to operate in cold weather than it is for a battery to operate in warm weather. The chemical reactions required to generate power in a car battery slow down in extremely cold temperatures. As a result, a battery that’s merely weak during the summer could turn into a dead battery during the winter. You should get your battery checked by a mechanic to make sure it’s ready for the cold season. In order for your engine to run, it needs proper lubrication from oil. Unfortunately, cold weather reduces the oil’s effectiveness. The colder it is outside, the thicker the oil gets, and thick oil doesn’t circulate through your engine as easily as thin oil. Consequently, your engine doesn’t get the lubrication it needs during start-up and you’re left with a car that won’t start. To prevent this situation, change your oil to one that is thinner, to begin with. To find out the proper viscosity (that’s the thickness or thinness of a liquid) of oil you need in the winter, check the owner’s manual for your car. It usually has information on the proper viscosity levels for different climates. Driving in snow actually dulls the tread on your tires. If you live in a snowy place or plan to drive to the mountains, invest in snow tires or a set of chains to protect tires from slippage. Even if you won’t be driving in the snow this winter, pay extra attention to your tires. Cold weather naturally decreases the air pressure in your tires (and driving on low tires makes your engine work harder and uses more gas). So, make sure to check the pressure every two to four weeks. No matter how careful you may be driving this winter, you may still be involved in a collision. Or conditions may just be tough on your vehicle and you have dings and paint damage from winter road debris. If any of these things happen to you, call Breezy Point Auto Body at (203) 378-4909 or stop by in our Stratford, CT shop for a free repair estimate. Breezy Point Auto Body would like to wish you a safe winter. For more car tips, visit our blog.